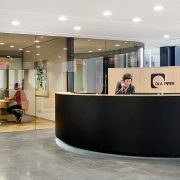 DLA Piper has advised Nickle Mines Limited (NIC) on its $200m initial public offering on the ASX. The firm’s team was led by consultant James Philips and senior associate Adrian Tan. They were supported by partner David Ryan and solicitor Claudia McEwen. Philips and Tan said that there the offering generated strong interest from sophisticated investors. “NIC began as a direct shipping operation of nickel ore but is now set to emerge as a downstream nickel producer as a result of securing its refining capacity within the [Indonesia Morowali Industrial Park – IMIP],” they said. NIC, which had a market capitalisation of $486m at the offer price, aims to be a globally significant producer of nickel pig iron, which is important in stainless steel production. It also has 80% ownership of the Hengjaya Mineralindo Nickel Mine in in the Morowali Regency of Central Sulawesi, Indonesia. NIC will use a majority of the proceeds of the IPO to increase its stake in two rotary kiln electric furnaces being built in the IMIP, DLA Piper said. The lead manager of the IPO was Bell Potter Securities.